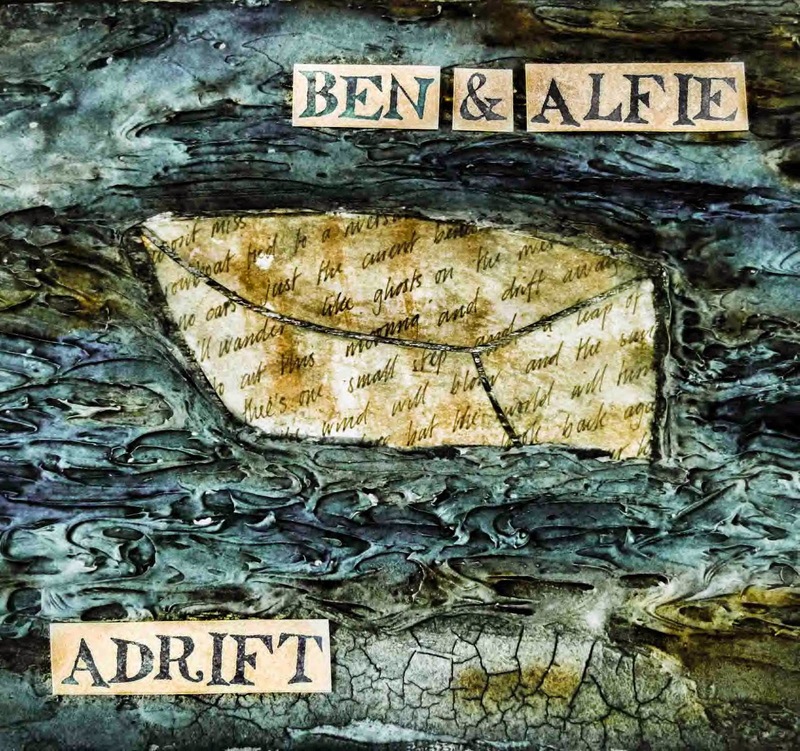 “Adrift” has arrived with rather apt timing just as we are both planning to move out in the near future so I suppose thoughts of being adrift have been with us recently. The first song on the album, also named Adrift, was actually written before any plans to move were realised but it seems now that it heralded the beginnings of the process and it felt good that the album could be somehow significant to our lives in a more than musical sense, as if that wasn't enough! Adrift also introduces a few new instruments to our sound - most notably the Ukulele which Alfie plays on a number of the tracks and we hope to include it in our live gigs as well though we're not yet sure how... perhaps some clever apparatus allowing Alfie to play double bass with his feet could be arranged? We will be releasing the Album on June the 8th at Bull Mill in Warminster so please keep an eye on the Ben & Alfie Facebook for details of that event if you think you can make it! If you want to pre-order the album then just visit Paddywack Records to get in their early. This is our first album with Paddywack Records and hopefully not the last. Do check out their beeeeeautiful new website! You can also pre-order a Digital Download from our Bandcamp and get 2 Tracks immediately! If you pre-order you will receive a notification with a download link for the whole album as soon as it is released. The recording process was particularly good for us since for many of the songs it was the first time we arranged and crystallised them. The eleven songs were chosen from a larger selection which has really helped make this more of a coherent album and also helped the always difficult task of choosing an track order much easier. However, I think we made up for any fortuitous ease we experienced in the production stages with the agony of arrangement and rearrangement and endless decisions about where the violins should come in (or if they should at all!). Another reason it was so easy to achieve a recording we were happy with was our new Focusrite interface but I’ll discuss that and a few of the other more technical "nerdities" in detail on the Sound Tailor site. Finally with the usual care and grace we are used to from Loud Mastering we have been, once again, stunned by the wonderful, colourful, warm sound that Jason has brought to our recording in the mastering studio - our thanks to him. All in all the Adrift project has drifted past on a pretty pleasant calm swell and we hope you all enjoy it immensely!